Wrigley wasn’t the first to build a resort on Santa Catalina Island, but he had the money to buy out his predecessor after a fire leveled half of the main town of Shatto (named for the previous owner). He renamed and recreated the town as Avalon, started up a ceramic factory with produced the omni-present tiles and ceramics which set the theme of the town, and crowned the effort by building the Casino (“gathering place” in Italian). 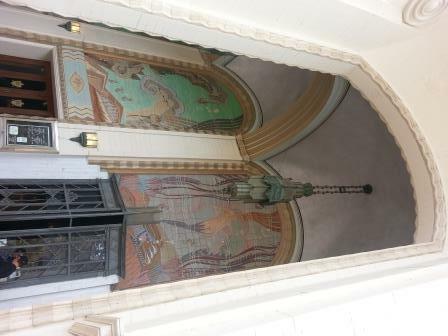 The Casino includes a theatre whose decor was designed by the same artist who created Grauman’s Chinese Theatre in Hollywood. It also includes a ballroom with the largest hardwood dance floor in the US. THe whole thing is circular in shape and topped with a tiny little cupola which formerly housed a beacon guiding boats into the harbor. I’ve never seen another building remotely like it. So, you ‘d like to visit Tuscany but you hate long plane flights? 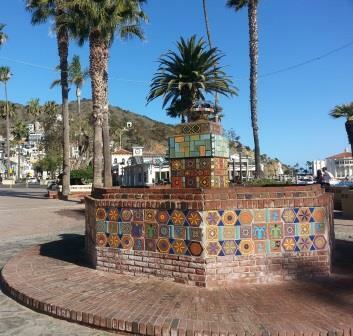 You can experience the picturesque village of Avalon clinging to the steep hillsides of Catalina. You love the desert atmosphere and beach vibe of Cabo San Lucas but your passport has expired? 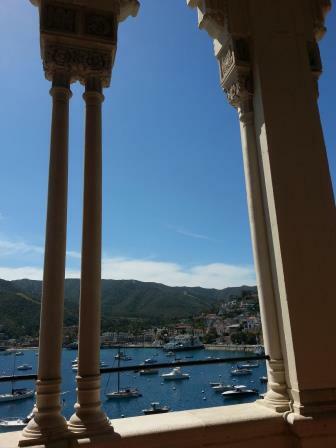 Hike the back country of Catalina and take in the 360 degree views of ocean and harbor from the heights of the island. You just want to get away, bask in the sun, and eat great food? Avalon has lots of sunshine and chaise lounges for basking, plus excellent food from fish tacos on the pier to high-end California Fusion at the Avalon Grill. If or when I go back to Cali and get to Catalina, it’s Avalon I’ll be most interested at. Did you see the carts? Very nice post with its history read. I love Catalina! When I lived in LA, this would be my getaway every few months.